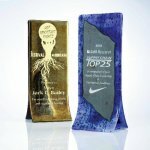 A polygon with four edges and four vertices offers you a prominent platform for your award message to shine. Gift box included for Tower only, select base and gift box for the base attached set from optional accessories. 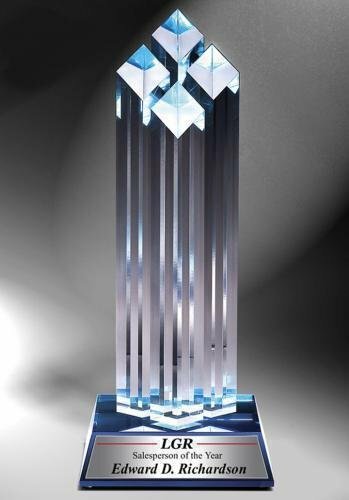 Elegant Mini version of our presidential award, this acrylic award boasts 1 1/2" thick diamond pillars on top of a colored mirrored base.